Windsor end of Chapel Street. Let’s face it, parts of Chapel Street can get a bit rough around the edges. Lonely Planet says it’s ‘fashion obsessed, body conscious and party loving’ and that sounds about right. 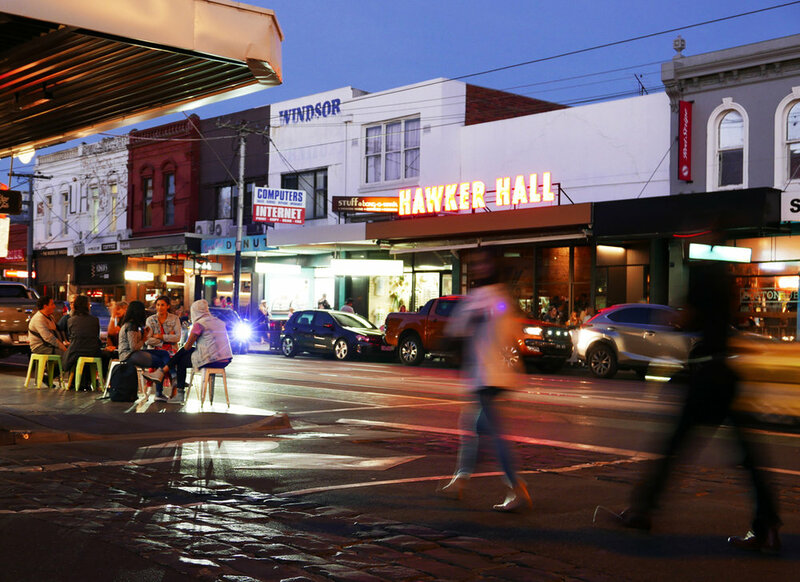 On the flipside, some of Melbourne’s most exciting dining happens around here. Below are our picks for accessible dining on this famously infamous strip. We arrived at Mr Myagi around 5:45pm on an average weekday and were promptly seated with a view towards the action – it quickly become obvious this place was a highly efficient & choreographed. The front of house team switched and swapped as needed and the cooks where effortlessly preparing & plating. 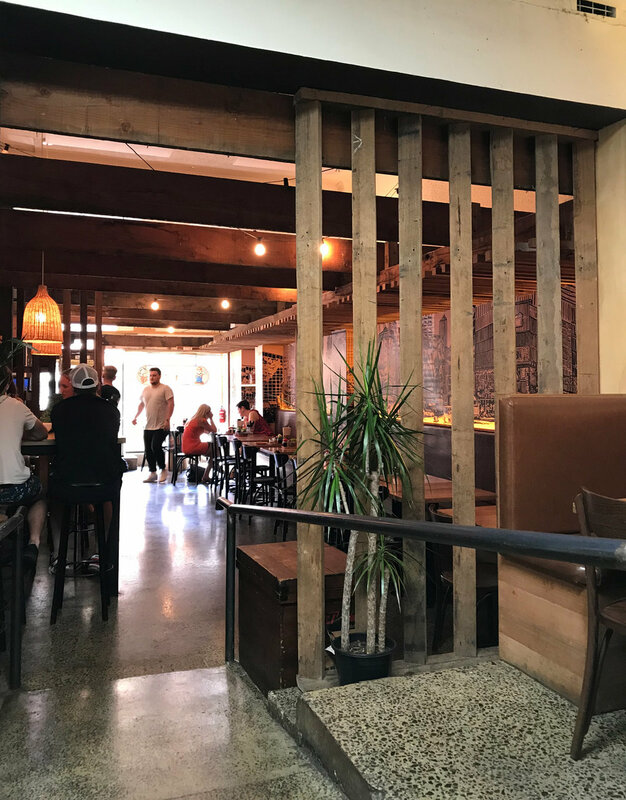 The restaurant is medium-sized and the entry is a long, sloped timber floor – there’s a good amount of space in high traffic areas. There’s slight Japanese touches in a contemporary space comprised of exposed brick, concrete flooring, booths and mixed seating. 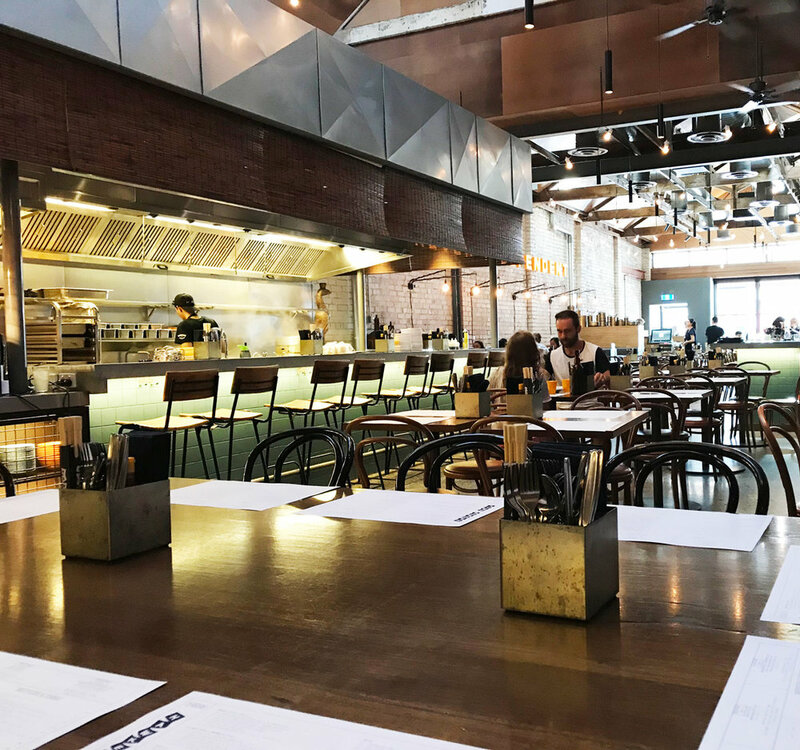 The low seats are positioned closest to the entry – there’s bar seating towards front and tall wooden stools at the Yuki’s at the back. Bring friends and cover a table with dumplings, nori, tempura and tofu. The Upton road entrance is ramped and opens into the light filled space in this one-time boozer. The refit has incorporated traditional art deco motifs in the front bar that create the feel of a gentleman’s club – there are bits of nostalgia; oil paintings, brass fittings and classic bentwood chairs. The middle courtyard houses a Chinese Elm and various potted plants. Nearby are the circular booths (pipes) – if you can transfer this a good spot to perch and dine but don’t forget to order first. This well-known member of the ChinChin family is in a massive space by Windsor standards. 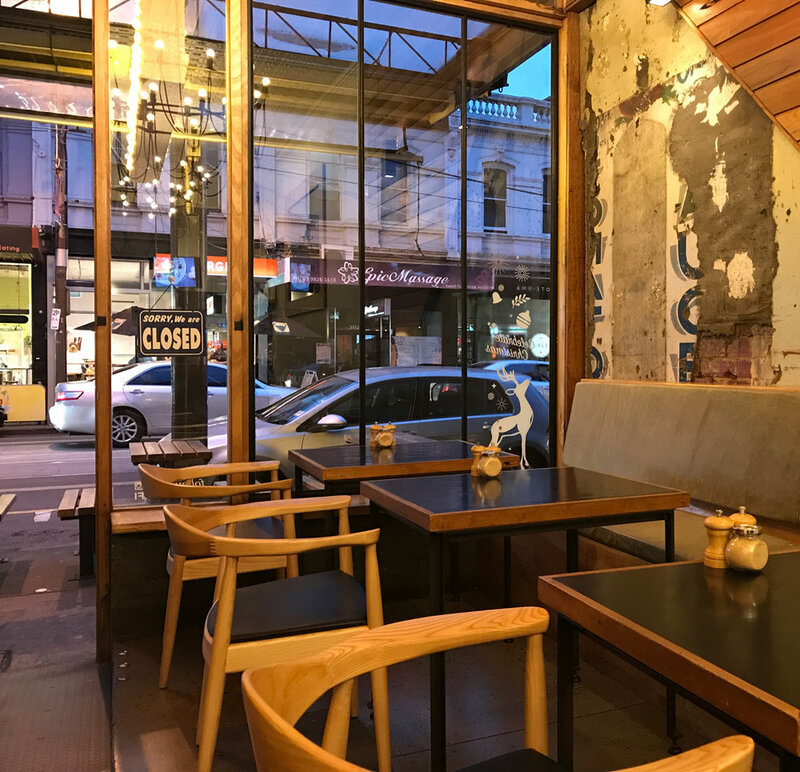 High seating runs along the bar and there’s a few counter height tables and chairs – the rest is bentwood chairs with 3 soft seated booths – good news for wheelchair users. There is a cheap and cheerful visual aesthetic with big colourful backlit signs and exposed brick and concrete floor. Stir frys, noodles, curries, rice dishes and satays feature prominently - expect high quality south Asian share plates. For a small restaurant Tokyo Tina has made a name for itself - a friend has been raving about this 2-year-old restaurant for… well 2 years. The atmosphere inside is petite and personal in a dilapidated and manga-cool space. Past the slightly tricky thin double doors out the back are the best options for wheelies. There’s a karaoke room too if (when?) you’re feeling adventurous. Visiting both the Brunswick and Windsor Fondas (Fondi?) we found the front of house excellent – helpful, generous and knowledgeable. What’s more, both venues are completely accessible with spacious layouts, lots of low seating and of course, an accessible WC. Fonda apparently refers the practice of opening up the family home to the public as a restaurant. The spaces are light and fun – think colour block murals and light timber throughout - the opposite of a dark, dusty cantina. 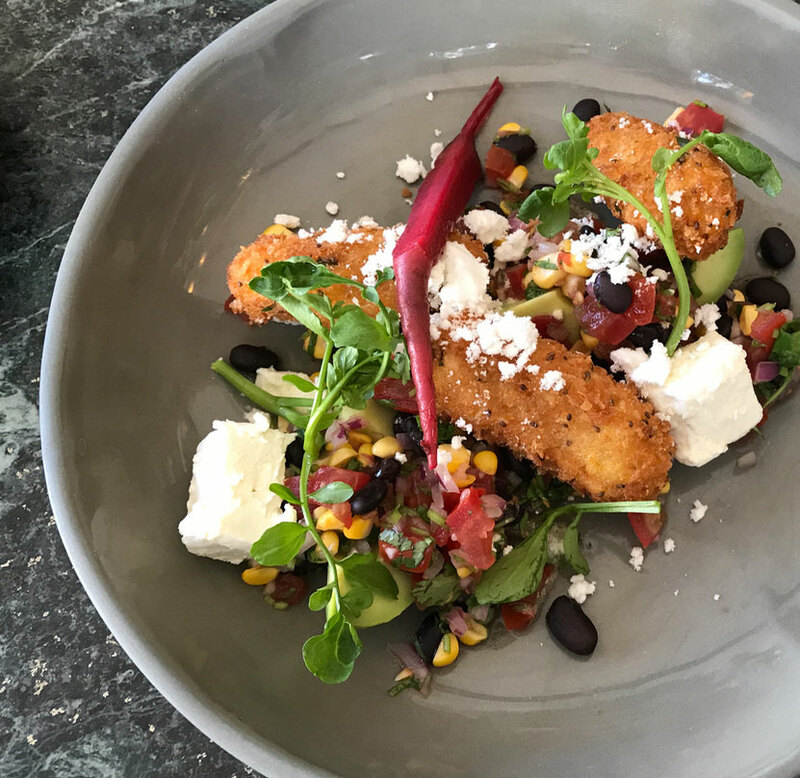 The menu is bold and options are bright and tasty and considered – vegan & vegetarians have some fine options here. 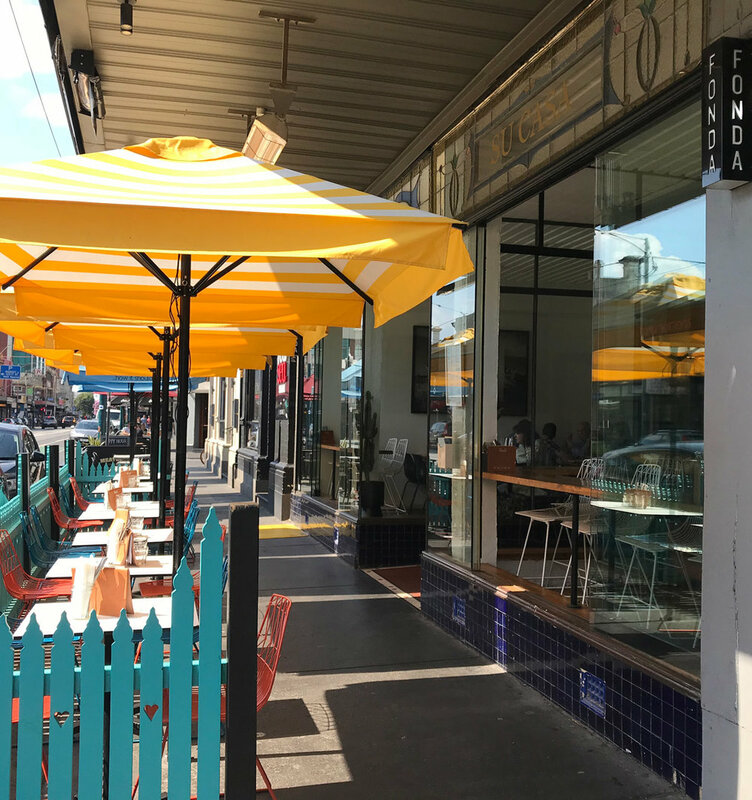 There’s a full bar and late license so you can make the most of the (rare) accessible seating on the footpath. 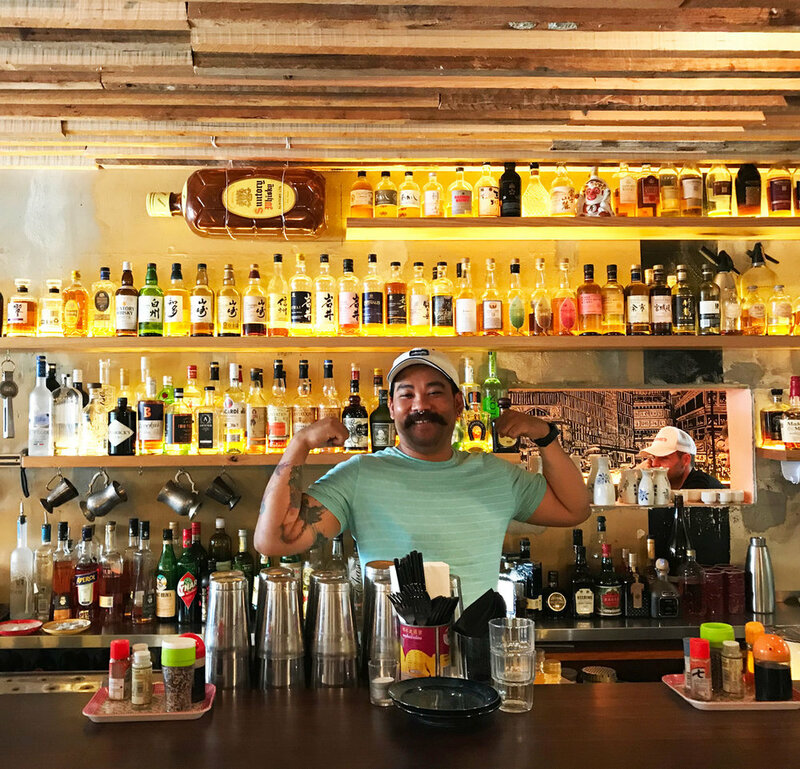 A Kitchen Bar is how Speakeasy describes itself and from the outside it looks more bar than kitchen. Inside there are smart chairs and tables looking onto Chapel street or venture further and a courtyard opens up. Sadly, the best wheelchair tables are on an elevated platform. However, there are low bench tables here for dining and drinking. 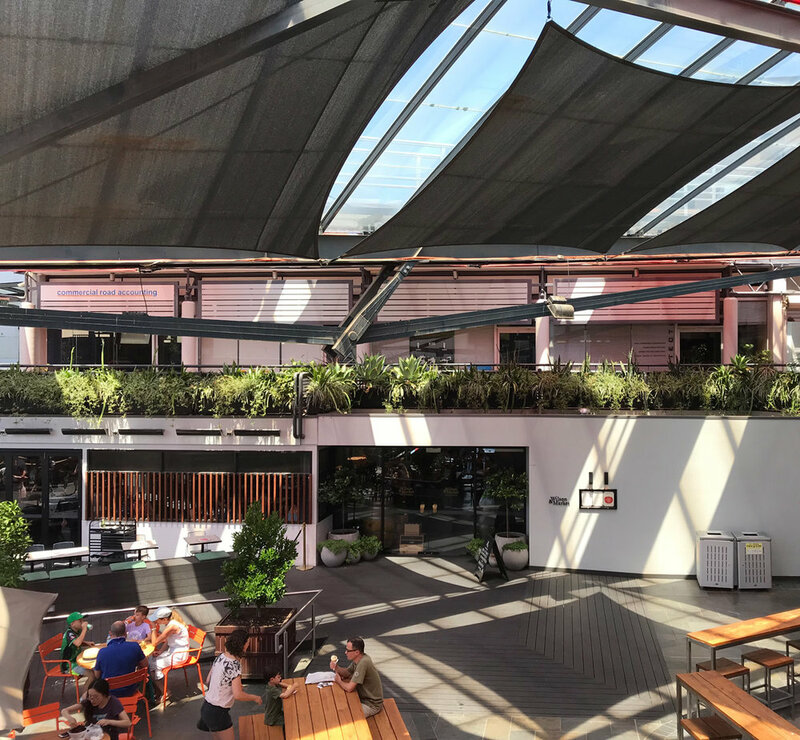 The sky opens up once the retractable roof is pulled aside so this is a good spot for sunny days & warmer nights. There is room here for dinner and drinks and the bathroom is fully accessible. There’s a taxi rank directly out the front too which could be convenient. A minimal & thoughtful logo and the minimal & thoughtful interior - Abacus is spacious, refined and sophisticated without being pretentious. Two corners of the building open onto Chapel Street and Elizabeth Street so you can have a very comfortable Chapel street experience. There’s beautiful lush green foliage offset the concrete and timber – this layout is inspired. 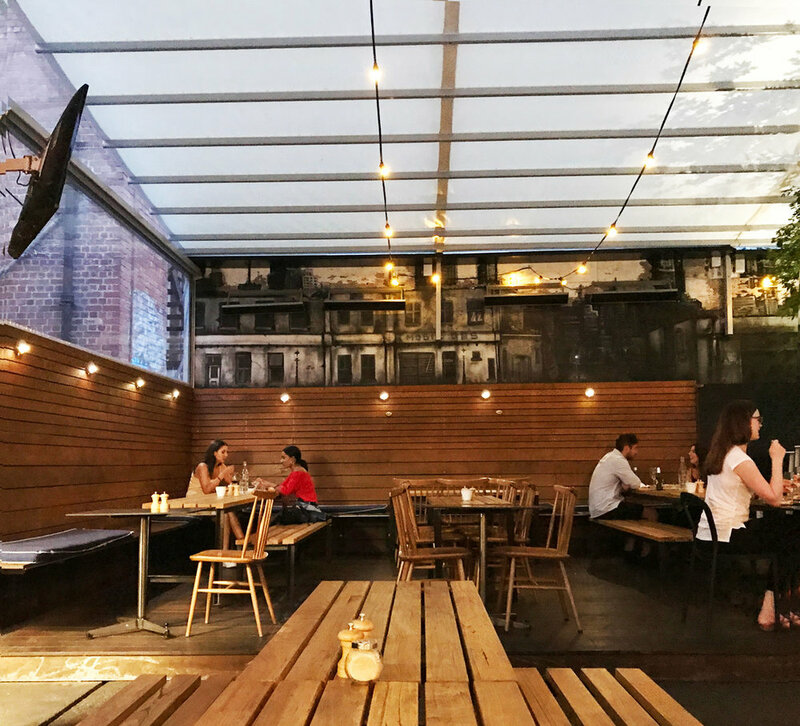 Benches out the front, comfortable tables inside – the majority are low and accessible. The food was sublime and staff were attentive and accommodating. Roll in for coffee or do a delightful dinner. They have a late license too for after dinner drinks. As with most wheelchair busy dining experiences – things can get crowded and before long you’ve spent 10 minutes navel gazing (not yours) or struggling to be seen at the bar. Get in early or book, play the disabled card and get your friends to do the drinks run.